Our chiminea safety tips are designed to do one thing....improve safety. Whether your thinking about buying a chiminea or you already own one, operating one in a safe manner is important. Overall, building a fire in a chiminea is safer than an open fire in a pit. The chiminea encloses a majority of the flame which helps reduce the possibility of an accidental mishap. However, we need to realize that the flames and heat generated from burning wood can be dangerous. Every year homes, forests and fields are destroyed by unintentional fires. So what can you do to help increase safety and decrease the chance of an unintentional fire? Read these 10 tips (in no specific order) designed to help you safely enjoy your chiminea. 1. 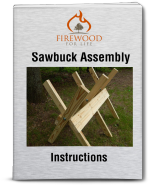 Safe Set Up - Using a 3 or 4 legged stand, set up your chiminea on bricks, pavers or cement. Never place your chiminea on a deck or other flammable surface. The bricks or pavers serve two purposes. They allow a stable and level base for the chiminea to rest on, and they decrease the possibility of an unwanted fire. 2. 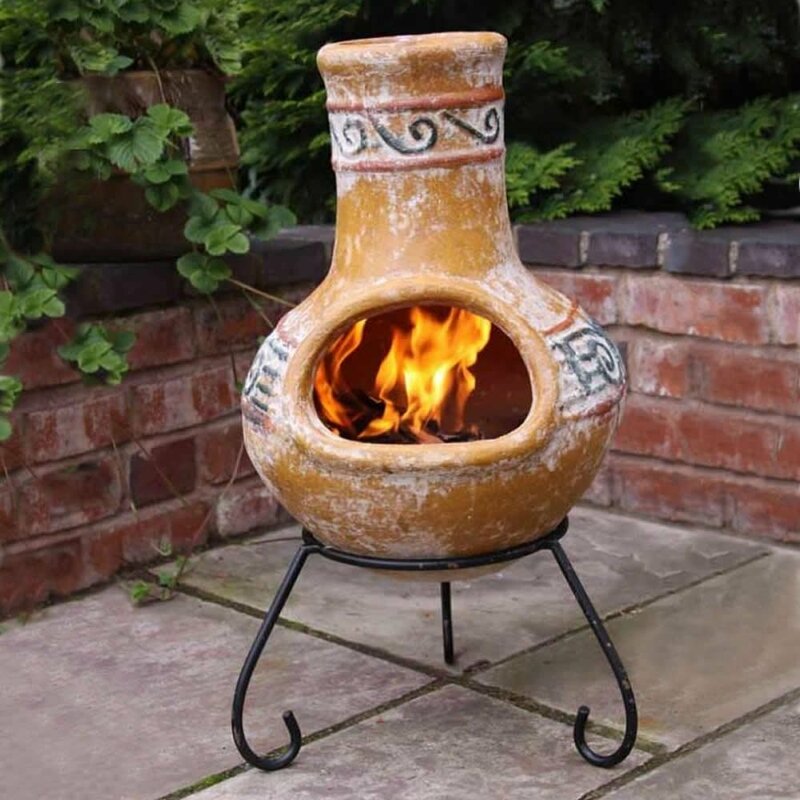 Safe Location - A chiminea should not be placed directly against your home, trees or other structure. 3. Building A Fire - Never use chemicals or combustable fluids to start a fire in your chiminea. Instead, use kindling to create a small fire then slowly add larger wood to the flame. 4. Spark Arrester - If your chiminea did not come with a spark arrester on the chimney, you can easily make one yourself. Fold up a piece of chicken wire or other mesh wire and place it near the top of the chimney. The wire will help prevent hot embers from escaping. 5. Hot To Handle - The exterior of a chiminea can get very hot. Always make sure children are properly supervised and warn your guests of the dangers. 6. 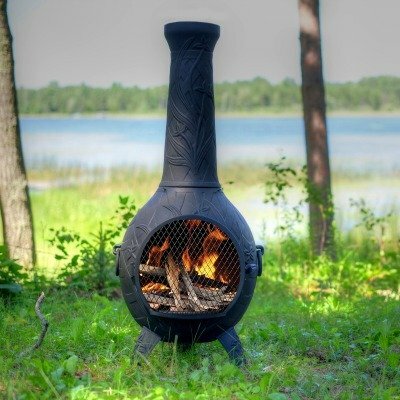 Build Small Fires - Chimineas are designed for small fires. If you see flames coming out of the chimney or the mouth....it's to big. 7. Protection - Depending on the style and construction of your chiminea, weather can be it's worst enemy. Rain and snow can rust or deteriorate a chiminea possibly causing it to crack or break. Cover your chiminea or store it inside during the off season. 8. Watch It Burn - Never leave a fire unattended. 9. Universal Precautions - Have a hose, bucket of water, or shovel nearby to quickly put out an unwanted fire outside your chiminea. Remember, never use water to extinguish a fire inside the chiminea. Doing so could cause severe damage. 10. Look Up - Don't place your chiminea under an awning or other overhead structure. Clear away any low hanging branches from nearby trees. The area above your chiminea should be clear.